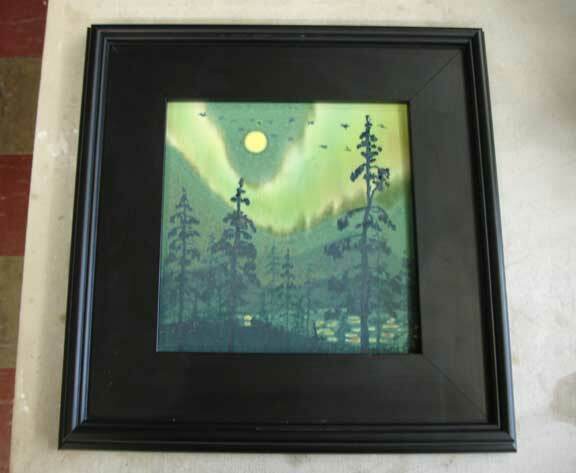 This is my last update before Pottery Lovers. It is my intention to be up in Zaneville and opening my door on Friday, the 7th, at 6PM -as I have historically done. One big change this year is that I will be at the Holiday Inn in Room 214. My exact schedule is a little uncertian as I am going to be in southern Missouri at Scout Camp right up until when I leave for Ohio. As soon as I hit Zville, I will put signs up as to my whereabouts. 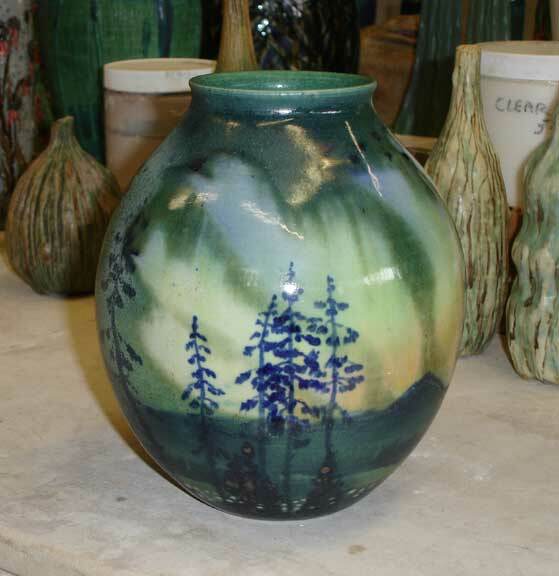 My last batch of pots before heading up to Zanesville is a hybrid pine forest and northern lights image. 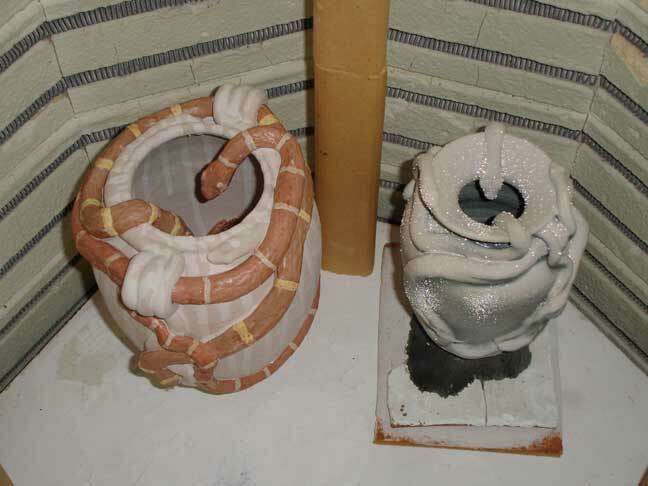 This is a test pot. Before I spend too much time on them, I want to have a fairly good idea of where I am going. First to get the treatment are a couple of large 8x8 tiles. They are getting frames and will be up in Ohio. 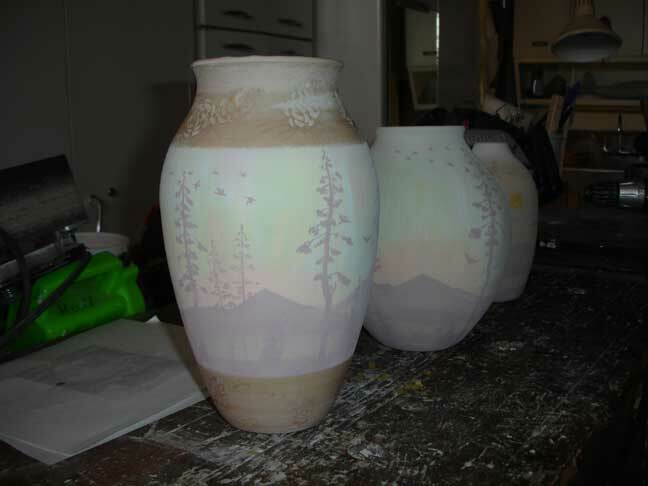 I then proceeded to glaze up a group of pots with similar images around the pots. 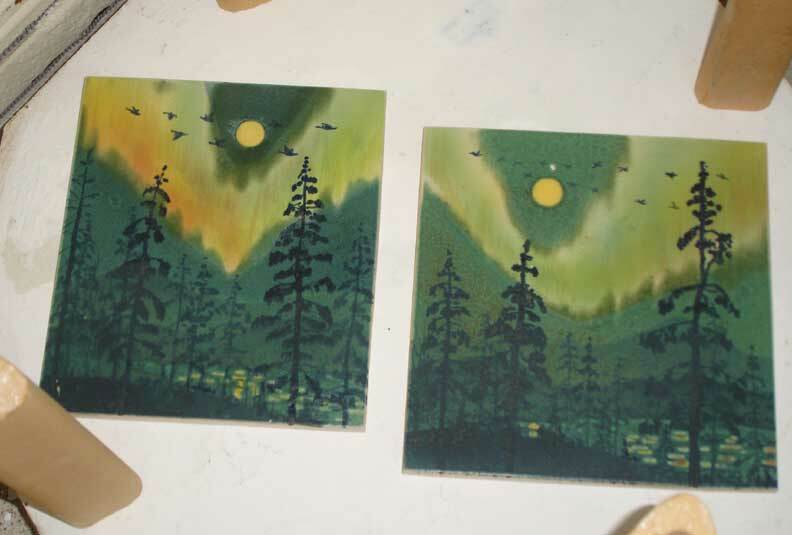 Unfortunately, they are a little weak on the northern lights colors. Reglaze time. This pot has some magic to it. More folks wrote me about it than anything else I have shown you. It is a beautiful shape and design. 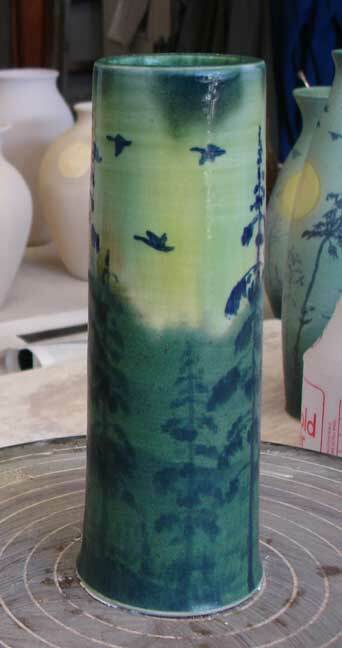 Right now it is glazed and waiting to be fired. I took a chance with the backround. I am keeping my fingers crossed. 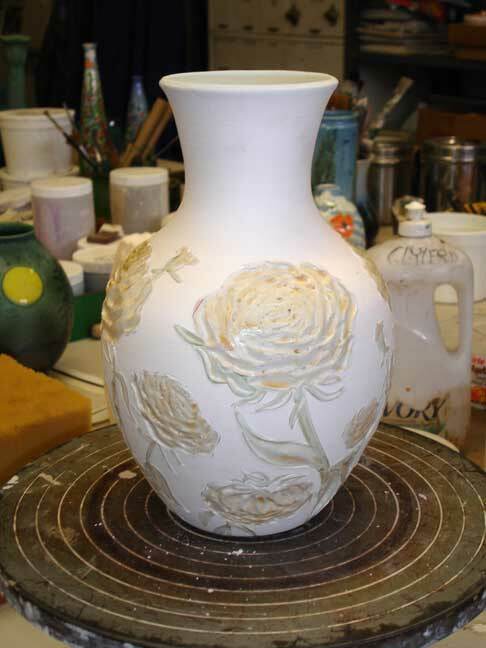 If it is not up to snuff, it will have to sit to be reglazed and will not make it to Ohio. Again, my fingers are crossed. 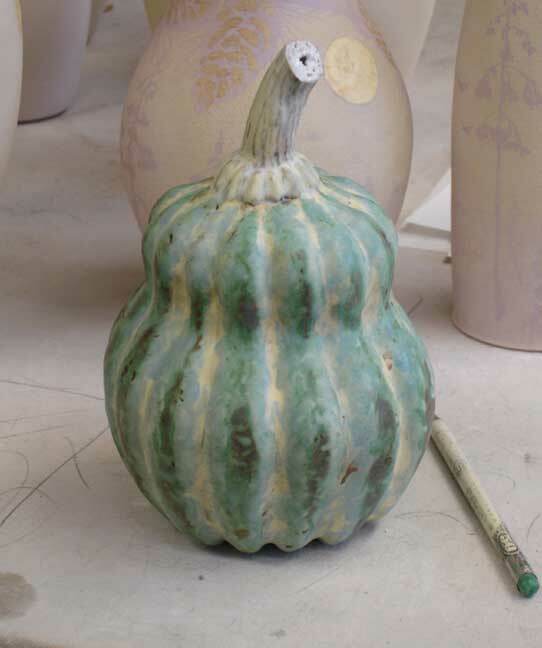 and a beautiful little gourd. Hope to be seeing some of you up in Ohio. We are going to have some fun!